If you are looking for a fresh start in your professional career, then it’s time to consider a position in the automotive industry at Limbaugh Toyota. Our Birmingham, AL auto dealership has many different departments with potential positions available for applicants from all backgrounds. If you are a seasoned automotive professional, we want to speak with you today! If you are a recent college graduate, we also want to talk to you about possible employment at our Alabama Toyota dealership. That’s right. No previous automotive experience is necessary to join the auto industry with employment at Limbaugh Toyota. We provide on the job training that will set you up for success no matter what role you find yourself in. Our work environment is friendly and fast-paced with senior management that will take an active interest in ensuring your success. 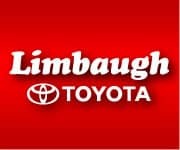 To be considered for possible employment at Limbaugh Toyota, just fill out our online application. We’ll evaluate where your skill set can best be utilized at our dealership located at 2200 Ave T, Birmingham, AL 35218. Why A Career in the Automotive Industry? The automotive industry spans the globe and is directly or indirectly responsible for the employment of millions of people. Over the last half-decade, it has been one of the most stable sectors of the economy. A career in the auto industry exposes you to many different facets of the business and offers unlimited growth potential. Limbaugh Toyota can help you jump start your current career, or provide a great launching pad if you are a recent college graduate. A position at our Birmingham Toyota dealership provides lucrative compensation, benefits, scheduled time off and the chance to move up to a management track quickly. You’ll be well-trained in your position and part of a confident team that helps everyone succeed. Limbaugh Toyota rewards its employees for their hard work and takes a personal interest in their lives. If you are ready to step up and join the automotive industry at our Toyota dealership, apply online now. While we may not have the exact position open you want at present, chances are it will become available soon based on our recent growth. That’s why we always encourage job seekers to submit their information so that we can contact you in the event a position becomes available. Limbaugh Toyota is proud to have current and past employees from all across the Birmingham, Hoover, and Tuscaloosa, AL areas. If you would like to get started on a career in the automotive industry, there’s never been a better time to do so at our Toyota store!